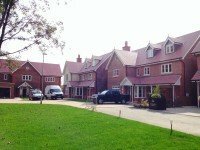 Thomas Roofing have many years’ experience as Roofers in North London, with a strong reputation for high quality work, provided promptly and within budget. Thomas Roofing have successfully repaired thousands of roofs in Enfield, Islington and Barnet, and are experienced in installing many types of roofs, such as pitched and flat roofs for houses, apartments and businesses. With so many different types of roofing tiles, such as slate and clay, we provide free written quotations for each individual project upon request. All work is completed to the highest possible standard, using the best materials on every roofing project we undertake, regardless of the size and we guarantee that we will always complete your roof before moving elsewhere.